Products and services B2B | CGS Customer Ground Service Ltd.
We’ll be pleased to represent your airline on the ground in all operational matters. maximum flexibility, even with short-notice requests. 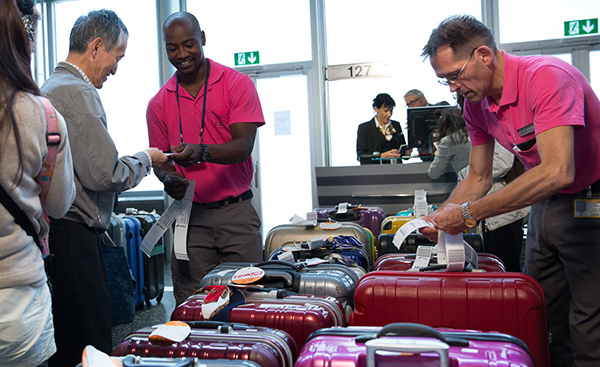 Our Ticket and Customer Service Desks at Zurich and Geneva airports are both located on the departures concourse for optimum traveller access and convenience. Check-in 2, open from 07:00 to 21:00 every day of the year. Terminal 1, open from 08:30 to 19:30 every day of the year. 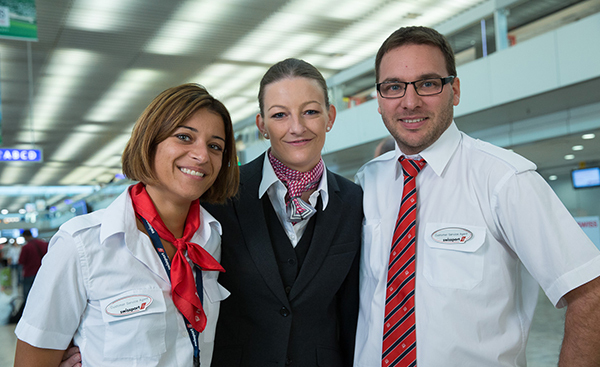 With our multilingual specialist personnel, we already represent over 20 airlines at our desks including Air France-KLM, Alitalia, LOT, Ukraine International, Aegean Airlines, Air Malta, Adria Airways, Air Europa, Transavia and easyJet. And our aim is always the same: total customer satisfaction! 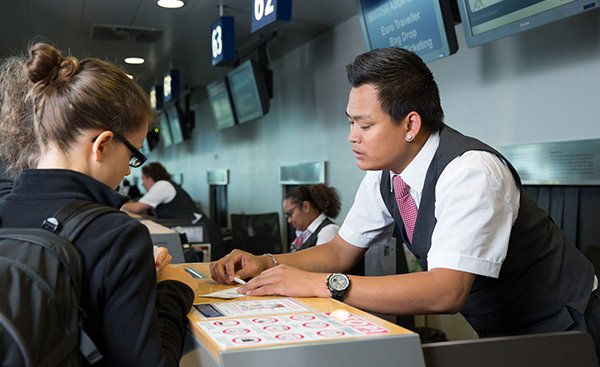 To this end, our skilled and experienced staff offer all our Ticketpoint customers expert advice and assistance with their rebookings or any other short-notice changes of travel plan, in the event of any irregularity and on a wide range of further air travel issues and concerns. 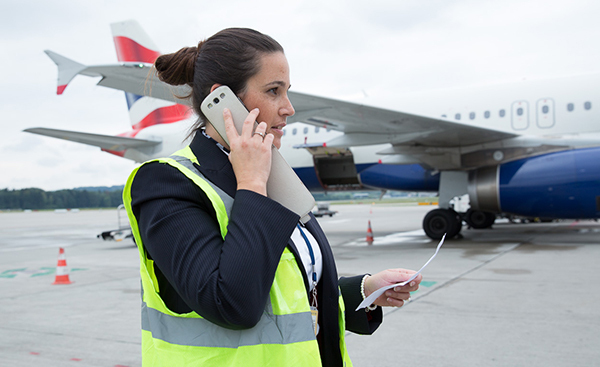 And to our airline partners we offer flexible staffing hours and product and service solutions that are carefully tailored to their specific wishes and needs, all at truly attractive rates. CGS can provide the staff and the expertise that your organization may need! We’re there for you: not just in “classic” airport contexts, but also for events, at hotels, with transportation mandates and more. Hiring-in temporary staff gives you and your company the flexibility you need. Our well-trained employees, who all have all the requisite airport passes, airport knowledge and safety and security credentials, can give you all the support you require right from the off. Short-notice assignments (within hours) are also possible on request. Easy ordering and swift responses are guaranteed. We can look after all the recruitment, planning, salary payments and disciplinary matters on your behalf. CGS’s quality surveys are your way to clear and meaningful findings and conclusions. We’ll measure, on your behalf, the performance of your service providers: accurately and objectively, time after time. the option of IT-based integration of data evaluations into your own quality review system. A “direct line” for special needs and prompt case handling. Newspaper services at its best ! 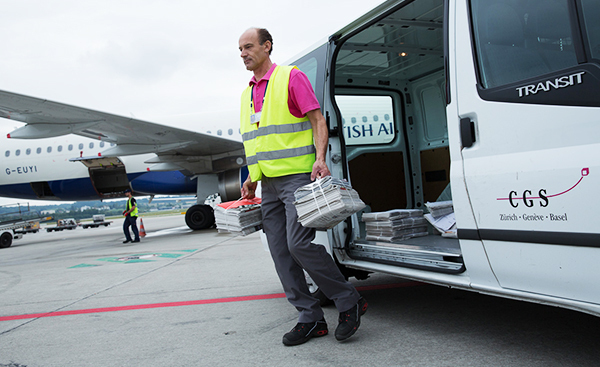 We’ll organize the purchasing of all the newspapers and magazines you wish and their delivery to your flights. prompt and effective adjustments in the event of an aircraft change. CGS Cabin-Cleaning – property matters ! We’ll clean your aircraft cabins, thoroughly and fast. Allow us to treat your customers with our first-class services in wonderfully appealing surrounds. Why not advertise your brand or product in our Business Class Lounges? 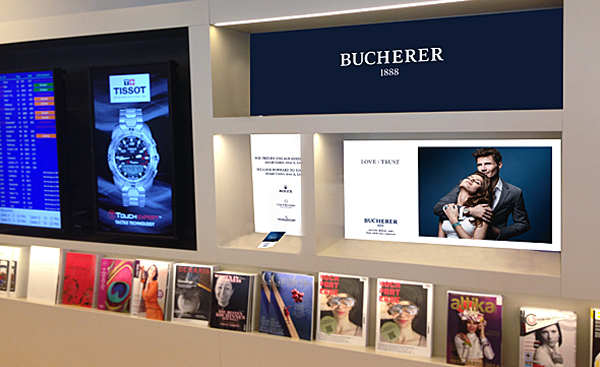 At Zurich Airport alone over 330,000 premium travellers a year will see your corporate message. all formats, and for all budgets. To enable us to meet this particular business demand as professionally as possible, we work closely with a specialist agency.